Writer Tusiata Avia and former race relations commissioner Joris de Bres spoke last night to mark the 20th birthday of the Whitireia Creative Writing Programme, which is celebrating with the launch of a publishing imprint and its first book. There was a large turnout on a typically wet and windy Wellington night for the debut of Escalator Press, which will publish work by new and established writers associated with Whitireia. Its first novel is by Adrienne Jansen, who established the programme in 1993. 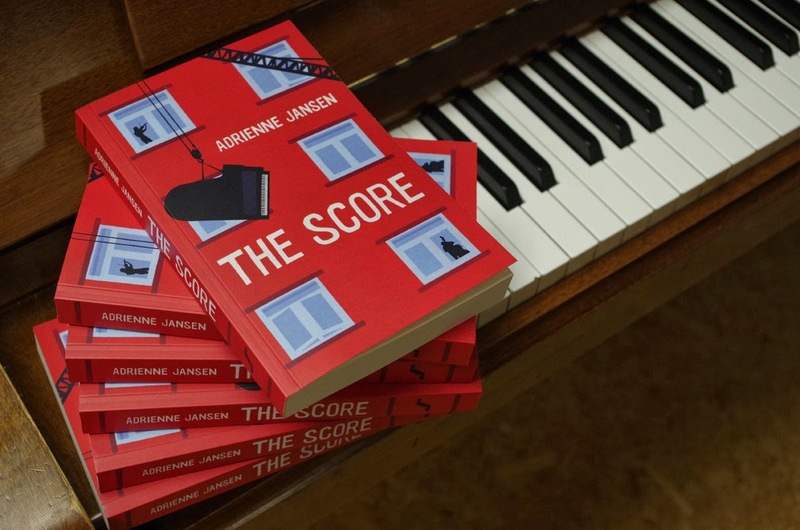 The Score is Jansen’s third novel. It is set in a block of council flats, mining the rich world of a migrant community in the inner city. It centres on music and the tenants’ attempts to rebuild a smashed grand piano. Joris de Bres launched the book, speaking about Jansen’s writing and the work she has done in the community. Adrienne Jansen brought her friend and piano restorer Serge Grandchamp to the stage to thank him for his help with the technical back story of rebuilding the smashed piano. Musicians representing the band in the novel played throughout the evening. Celebrating the writing programme’s birthday, Don Campbell, Chief Executive of Whitireia, spoke about the achievements of writing students past and present, and alumni Tusiata Avia gave a typically enlivening and moving talk about her life as a writer. This is a charming, thoughtful and moving work of New Zealand fiction which I thoroughly enjoyed and warmly recommend. An excellent book club title too I suggest.